Halifax has been announced as a host town for the 2019 Tour de Yorkshire. The newly expanded four-day men’s race will take place between 2-5 May. The Women’s Tour de Yorkshire will run for two days. 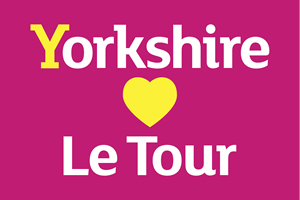 The Tour de Yorkshire is now the 2nd biggest pro stage race in the UK behind the Tour of Britain. The roads in Yorkshire can be challenging which makes for great racing and spectating. The 2019 UCI Road World Championships are coming to Yorkshire. "Yorkshire has shown it can host world class events with the Grand Départ, the Tour de Yorkshire and now the county has been chosen to host the UCI Road World Championships in 2019. This will be 12 races over eight days in this nine day event. We have got the scenery, we have got the warm welcome and we know we can bring the crowds." 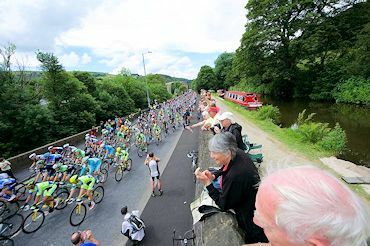 The pictures show some of the route for the triumphant 2014 Grand Départ, shared with the 2015 Tour de Yorkshire.